The Dolphins have waived offensive lineman Jacques McClendon and linebacker Danny Lansanah, according to Armando Salguero of The Miami Herald (on Twitter). Lansanah was signed by Miami just days ago, after he beat out Brandon Spikes and Jerry Franklin for the team’s open linebacker spot. Lansanah, soon-to-be 31, has spent the last two seasons and change with Tampa Bay. Over the last two years, Lansanah has appeared in every regular season game for the Bucs, making 22 total starts. 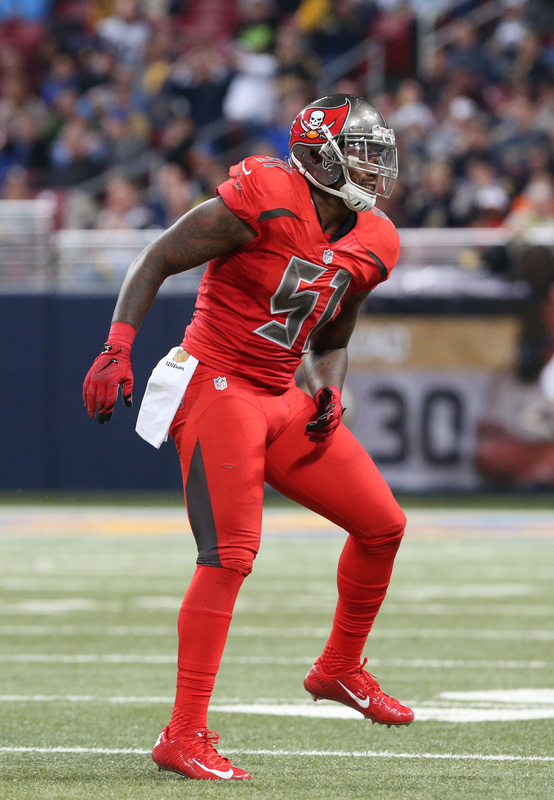 In 2014, Lansanah recorded three interceptions, eight pass breakups, 1.5 sacks, and 81 total tackles. His production tailed off last season, though he still notched 47 tackles, one sack, and four pass breakups. McClendon spent time in Miami in 2015, but didn’t see much action. In the spring, the Dolphins signed McClendon to a one-year deal, but it seems like they are more focused on Jermon Bushrod and Kraig Urbik, who were also signed this offseason. Bushrod is pushing for a starting job at right guard while Urbik is slated for a reserve role. The Dolphins have signed free agent tackle Jermon Bushrod to a one-year deal, tweets Armando Salguero of the Miami Herald. Bushrod himself broke the news, posting a photo on Instagram of himself signing his new contract. Bushrod, 31, was cut by the Bears last month with a failed physical designation. 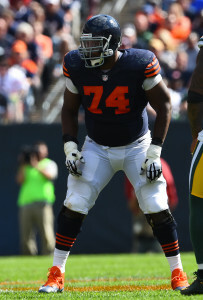 After suffering a concussion early in the 2015 season, Bushrod was later sidelined by a shoulder injury, which was reportedly the cause of his failed physical designation. Although injuries woes limited him to 12 games (and four starts) last season, Bushrod had previously been a stalwart at left tackle for the Bears and the Saints. The former fourth-round pick started 62 games for the Saints from 2009 to 2012, earning two Pro Bowl nods. He then started 30 games for Chicago in 2013 and 2014. The Dolphins believe Bushrod will be back to 100% health in time for training camp, according to Salguero, but given the veteran’s injury issues, it seems unlikely that the Dolphins are penciling him in as a starter. Still, Bushrod figures to push for playing time on a line that currently features tackles Branden Albert, Ja’Wuan James, and Sam Young. Both Albert and James were solid in 2015, so if they remain in the starting lineup for 2016, Bushrod will likely compete for either a starting guard job or the swing tackle role. In other Dolphins news, the team signed another offensive lineman, guard Jacques McClendon (Twitter link). McClendon spent time in Miami in 2015, but didn’t see much action. The 28-year-old made three starts for the Jaguars in 2014. According to Salguero, the Dolphins may not make a bigger splash than McClendon on the free agent guard market, preferring to address the position in the draft. Meanwhile, the Dolphins also confirmed (via Twitter) that they’ve officially restructured Byron Maxwell‘s contract, a move that was expected as part of the trade that sent the cornerback to Miami. Maxwell’s deal is expected to remained relatively unchanged for 2016, with alterations starting in 2017.